Wow. This recipe is just wow! 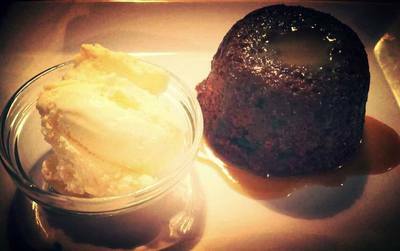 It is the best sticky date pudding I have EVER had including those at restaurants. 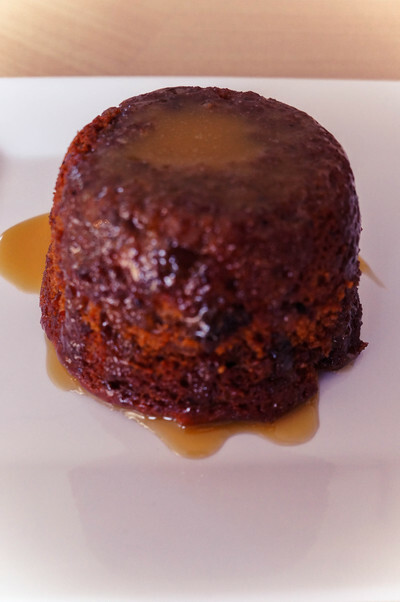 It is so simple to make and the result is a moist, fluffy pudding bursting with flavour. The sauce is just the perfect addition. You can make it as a cake or I made it in to individual puddings which were just adorable. A real winner! Place dates and bicarbonate of soda into a bowl. Pour over boiling water. Allow to stand for 20 minutes. Spoon mixture into prepared cake pan. Bake for 35 to 40 minutes or until a skewer inserted into the centre comes out clean. Allow to cool in pan/tin for 10 mintues before turning out on to a plate. Make sauce by combining all ingredients in a saucepan over medium heat. Cook, stirring often, until sauce comes to the boil. Reduce heat to medium-low. Simmer for 2 minutes. Pierce pudding all over with a skewer. Pour 1/2 cup of warm sauce over warm pudding. Stand for 10 minutes before serving with remaining sauce and vanilla ice-cream! !